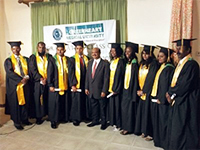 GreenHeart Medical University (GMU) - is situated in the historically remarkable city of Georgetown, Guyana. 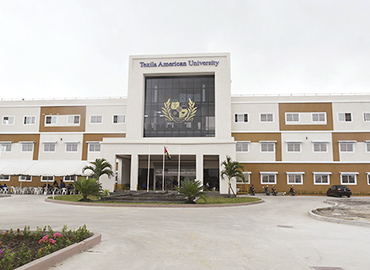 It is authorized by the Government of Guyana and famous for offering quality education with a team of skilled & professional faculty members. 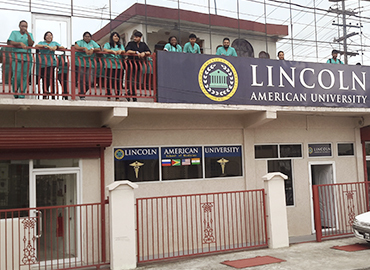 It is one of the Top Medical Schools in the region, to help the students pursue their dreams and study medicine in South America. The University has gained its name, after the famous “Greenheart”- A Rainforest Tree of Medicinal Properties. 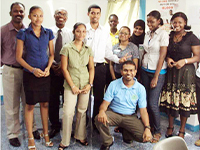 It started its educational operations in the field of health sciences in Guyana and the overall region; in the year 2005. GreenHeart Medical University has now become a leading University in the region with expertise in delivering education in the field of health care education, research, and health services. It is recognized by MCI (Medical Council of India) and enlisted with WDOMS (World Directory of Medical Schools). Also registered and listed in IMED (International Medical Education Directory) under FAIMER (Foundation for Advancement in Medical Education & Research). GMU is managed by the Board of directors under the advertisement of highly qualified educators, administrators, and acclaimed physicians. Students are encouraged for the mentorship programs and preparation for various professional licensing examinations & screening tests of the respective countries, such as CAMC, USMLE, MCCQE, PLAB, MCI screening tests, etc. By the integrity with the partnerships & collaboration with the esteemed hospitals across the world, the institution has enhanced its value among the students. The students prefer the institution as it is beneficial for them in order to attain guidance from the eminent members of worldwide recognized hospitals. Going forward, the university is steadily developing new partnerships & affiliations with leading institutions around the globe. These affiliated institutions are involved in health sciences, education and research. The University is now focusing on its vision of becoming an internationally Recognized Regional Research Institution. The students will have the complete privilege of choosing the best option for them according to their suitability; whether they need a single or shared room or amenities (air conditioning rooms with meals or some other option). Cost for Room & Boarding is very reasonable at GMU and allows the students to choose from budget-friendly options for food. The university has a separate GMU Office of Student Affairs for handling all the relevant academic and non-academic issues of the students. 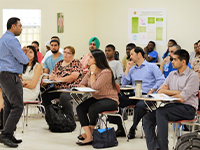 GMU management helps its students to adjust in the new environment, have a good interaction with new people, explore and learn new cultures & customs of Guyana. It conducts various seminars, mentorship programs, community services, and other activities, in order to create a healthy & strong connection between the freshmen and seniors. The university has a facility of E-library, which has a list of examination resources, research databases and web sites that are quite useful for the medical students. In the 18th century, the city began as a small town and served as the centre for administration and retail. The average climate of the city is distinguished as tropical. The city experiences an extensive amount of rainfall, even in the driest month. Mining and agriculture are the two main important activities in the city. The city has a well-planned and connected system of transportation for its entire people. Tourists can use a minibus to travel across the city. There are several multi-cuisine restaurants in the city located in different parts making it a preferred choice for International students to study medicine in Georgetown. Major tourist attractions of Georgetown are St. George's Cathedral, The Walter Roth Museum of Anthropology, St. Andrews Kirk, Liberation Monument, etc.